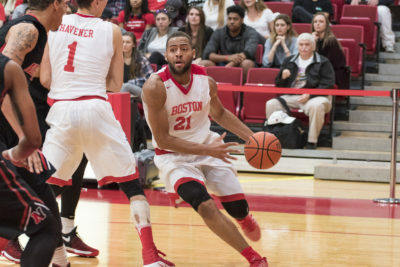 The Boston University men’s basketball team fell 60-56 to American University on the road Wednesday evening. The Eagles (6-20, 3-12 Patriot League) completed their season sweep of the Terriers (12-14, 8-7 Patriot League), who dropped their fourth straight Patriot League game. Despite the Terriers being able to close American’s lead with minutes left in the game, the Eagles, with the help of freshman forward Sam Iorio’s 22 points and sophomore guard Sa’eed Nelson’s final drive, were able to end their seven-game losing streak. 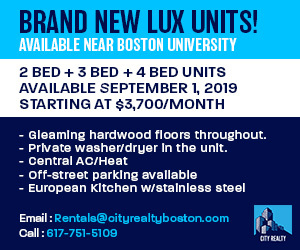 Sophomore forward Max Mahoney, who finished the night with a game-high 25 points after going 11-for-14 from the field, gave BU its first six points within a two-minute span. “I thought he was terrific and I thought our guys did a good job of keeping him in position where he can be successful,” Jones said of Mahoney. The Terriers maintained a steady lead over the Eagles until 12:10 in the first half when Nelson made a layup to tie the game at 12. After Scanlon jump shot, BU regained a temporary lead until an Iorio three pointer kept American in the lead until the end of the frame with the Eagles leading 35-28. Nelson opened the second frame with a layup to put American up 37-28. The Terriers continued to chip away at the lead and found themselves within one after a layup from Mahoney with 12:26 remaining in the contest. BU got the score within one point twice more until a three-point play by sophomore forward Tyler Scanlon gave the Terriers a 53-51 lead. While Scanlon only went 3-for-11 from the field, the Centreville, Virginia native contributed seven rebounds and five assists. BU captured a lead with 3:54 left in the matchup, but watched it slip away as junior guard Larry Motuzis knocked home a pair of free throws and Iorio got a three pointer. Senior guard Cedric Hankerson had a chance to tie up the game, but was only able to make one of his three free throws to get the Terriers within two points. Wednesday’s contest marked the second game Hankerson has appeared in since returning on Feb. 10 against the College of the Holy Cross after missing five games due to a lower-body injury. Over 34 minutes against the Eagles, Hankerson notched 14 points and four steals. BU also went its third game without freshman forward Walter Whyte. Nelson’s final two points of the night, with 26 seconds left, finished the game and he tallied 17 points on the night.